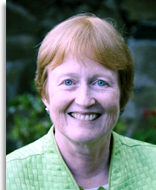 About Dr. Maggie Phillips Ph.D.
Dr. Phillips has led workshops on hypnosis, psychotherapy, the effects of childhood trauma, and reversing chronic pain in the U.K., Germany, Scandinavia, France, Japan, China, and Malaysia, and uses of energy therapies in mindbody healing. She has authored numerous papers and articles in the areas of ego-state therapy, redecision therapy, and the treatment of post-traumatic conditions, and is the co-recipient of the 1994 ASCH Crasilneck award for excellence in writing and of the Cornelia B. Wilbur award from the ISSD. Dr. Phillips is co-author of Healing the Divided Self and author of Finding the Energy to Heal and Reversing Chronic Pain. 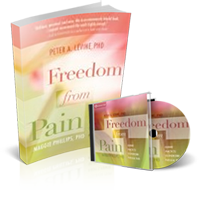 AND, her newly launched Freedom from Pain co-authored with Peter Levine. She is also a Fellow of the International Society for the Study of Dissociation (ISSD), and a Fellow of the American Society of Clinical Hypnosis. To watch an 8-minute video presentation from Maggie about her work, click here.